Seeing as next month is Employment Month over on our social media, I thought it would only be fair if I shared one of my own stories. For me personally, this meant overcoming that fear of not being good enough and taking a leap of faith that things may turn out just as you want them to. I graduated from university in July 2017 and began to realise that I was already months behind in finding myself a job. Others around me had planned to go on to do a Master’s degree and others had been offered graduate programmes or had plans to travel the world, but me, I had no idea what was going to happen. After spending 2 months continuing my waitressing position I decided that I would move back home and have a go at looking for work. I had no idea just how hard this process would be. I spent every day applying for jobs online, using Indeed, Fish4Jobs and all other various platforms religiously, taking a punt on anything that sounded remotely similar to my dream job. Day in day out, I received less and less feedback from employers and found myself disheartened with the lack of response. Wasn't I worth that condolences email that said I wasn't eligible for the job? Apparently not. I spent weeks feeling useless with no focus and filled with severe boredom. Isolation was setting in. After having hit what felt like rock bottom, feeling alone, purposeless and seriously frustrated, my life began to feel low and meaningless. Why was everyone else finding success but I couldn't? Panic began to set in about having no money, no way to support myself and no drive. The worst thing about unemployment I found was the loss of my motivation. Finding out the hard way that online applications often lead nowhere, I decided to venture out and start asking big companies for jobs. As we all know, this brought on challenges of its own. The fear of walking through those big doors and being rejected often had me circling the building in a panic of sweat and deep breathing before I worked up the courage to introduce myself. Though I didn't find work this way, I found that I began to feel small parts of hope that I was getting closer with every person I met and every door I walked through. Three months of getting nowhere but slowly building up my confidence found me walking into Gladstone Library to attend a marketing workshop event where I hoped to learn some skills and build up my Cv. In truth, I expected to have a day where I would feel momentarily useful but nothing more. I must have changed my outfit, combed my hair and checked the mirror 50 times that day, it was the first time I had been back into a workplace environment since I left my waitressing job and nerves seriously got the better of me. Several times I attempted to walk into the building and decided to walk away and do a lap of the library. I felt like a fraud, someone who didn't belong in this world of business, of education or professionalism. All I could think is, what do I have to offer? Are they going to see through this fake confidence? Every time, I came up with nothing. Upon arrival, I was introduced to Sid. He was friendly, smiley and very welcoming. Thankfully, the room was also small, which had just 6 other people. As I sat waiting for the training to start, my heart was hammering into my chest as I tried to conjure up any interesting, business related information I had to share with the people around me. I was amongst a group of professionals, of business owners, successful, proud people and I was seriously out of my depth. Once the course began we all introduced ourselves and I immediately realised that all of these people around me felt the same as I did. That feeling of insecurity and uncertainty was something we all had in common regardless of our employment status. I began to relax, join in and honestly, felt like I actually belonged somewhere. Two months later, I had found myself a small part-time job that had no way of supporting me but was building up my confidence and my experience and frankly, I felt proud of myself for the first time in months. I had actually achieved something, regardless of how small it may be. One day after returning from my 2 hours a week position, I noticed I had an email from The Meee Programme offering me a part-time job to work with them. I wish I could explain to you all how I felt at that moment, but words don't do it justice. I had actually made a good impression, I actually had something to offer someone and most importantly, had got work just by meaning me, no matter how useless I felt. Almost a year later, here I am, working for Meee, alongside Sid and the team delivering our workshops and supporting with marketing. I had no idea that something that felt so daunting which offered no promise of employment would turn out to be just that chance I needed to feel part of something again. Yes, I was still nervous, yes I doubted myself but I had found purpose again and by seizing an opportunity had achieved something that felt impossible. For me, this story is a journey of how I came to realise that I would only find purpose if I went out and looked for it, it wouldn’t come to me. In order to find opportunity, to feel worthy again I had to expose myself to more people and though I may feel nervous, I needed to push myself to achieve more in order to reach my goal. It was all up to me to find my success. We would love to share your stories all about your experiences in employment here on our website or via social media in hopes they help and inspire others. 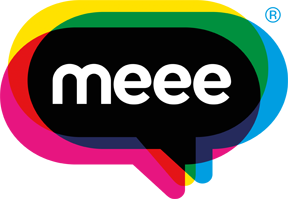 Don't forget to contact us at info@meee.global with the subject line "Employment and Meee"!